An advanced mirror sighting compass with quadrant graduations for experienced users and professionals with high demands on accuracy, precision and durability. The Ranger 2.0 Quad represents the next step within advanced outdoor navigation. If the terrain demands a mirror sighting compass, the Ranger 2.0 Quad is your optimal companion. 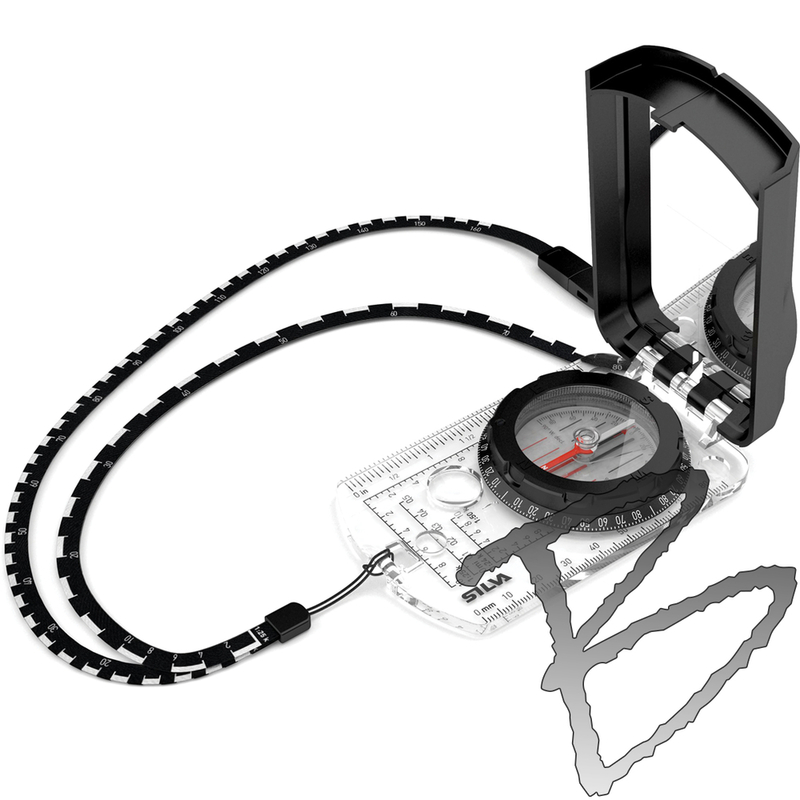 The compass comes with a slope card and a distance lanyard. The slope card is great both for detecting avalanche risk and for determining how challenging your journey will be. By knowing the slope you can also judge any extra distance that you need to go due to the slope. The distance lanyard has four scales on it; 1:24k, 1:25k, 1:50k and 1:62.5, which allows measuring the distance of your hike. Since its soft and bendable, it’s easy to place directly on to your route on the map. 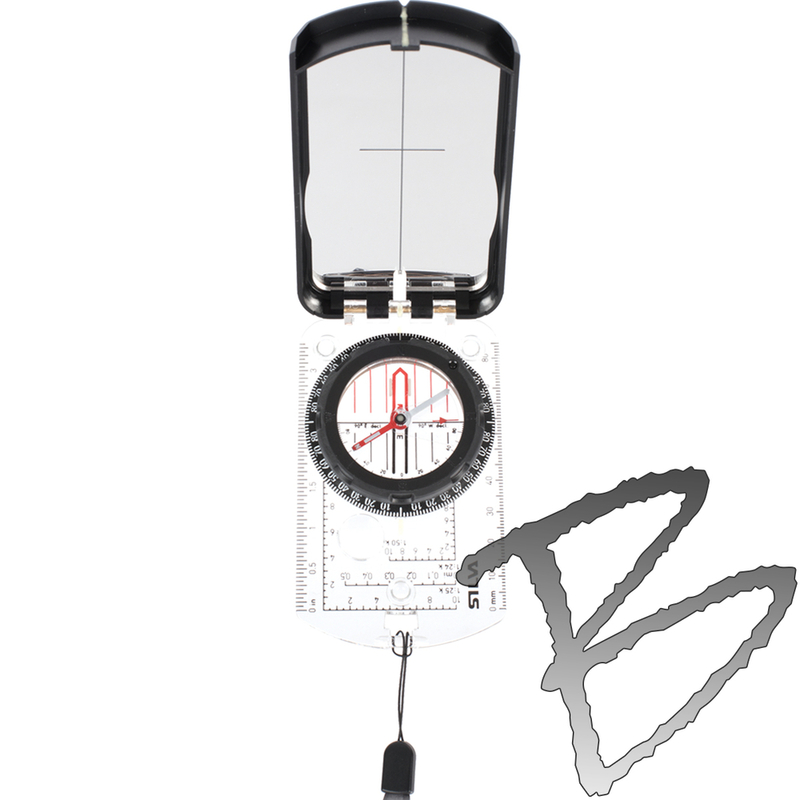 A mirror sighting compass should be your choice when you must determine direction over long distances. With the mirror tilted to a 45-degree angle, you can check your direction by looking at the bezel in the mirror while sighting in the correct direction of travel. 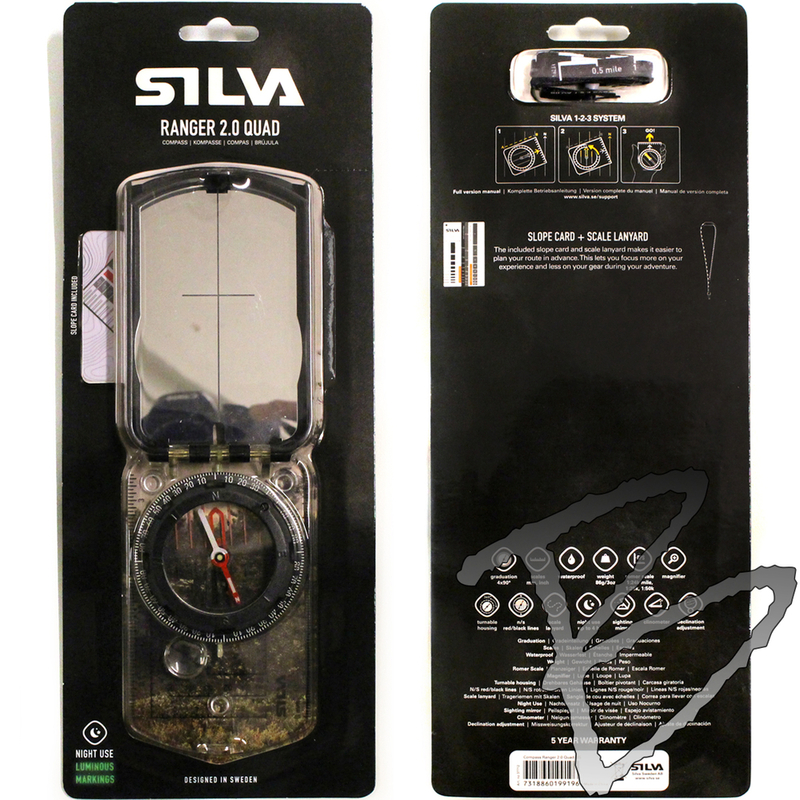 Because you needn’t lift your eyes from the compass in order to look into the terrain, the direction determined with the Silva 1-2- 3 System® becomes more accurate. Ranger 2.0 Quad features DryFlex™ grip for easy handling, a clinometer for measuring slope angle and comes with a built-in adjuster for magnetic declination, magnifying lens and rubber friction feet for precision map work. It also features map-measuring in mm, inches, scales of 1:25k, 1:50k, 1:24k USGS scale and GPS scales. The scales and markings come in a clear contemporary font combined and lots of transparency in the baseplate makes navigating easier - when activated in light the luminous markings enable night time navigation. The red/black North-South lines in the capsule bottom ensures easy and safe settling. The needle is made from finest Swedish steel with high quality magnetic features.